The 49ers have signed cornerback K’Waun Williams to a three-year extension that will keep him in San Francisco through 2020, the club announced today. The new deal is worth $10MM, contains $5MM guaranteed, and has incentives attached, according to Ian Rapoport of NFL.com (Twitter link). Williams, 26, has only spent three games with the 49ers, as he signed with the team on a one-year, $765K deal this offseason. 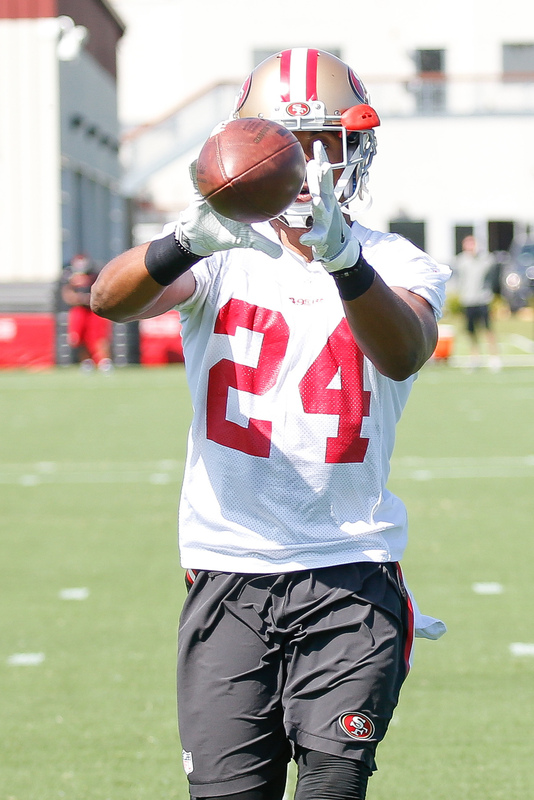 Serving as San Francisco’s nickel corner, Williams has played on 57.5% of the club’s defensive snaps, racking up 14 tackles and two passes defensed in the process. While he hasn’t graded well in Pro Football Focus‘ rankings — just the No. 94 cornerback among 110 qualifiers — the 49ers have apparently been pleased with Williams’ production thus far. 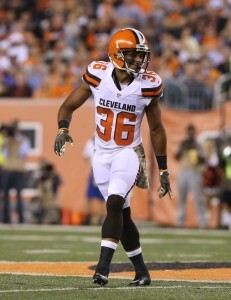 An undrafted free agent out of Pittsburgh, Williams appeared in 26 games for the Browns from 2014-15 before being suspended in 2016 following an “ongoing dispute” over an ankle injury. After eventually reaching the free agent market, Williams drew interest but didn’t land a contract until the season had concluded. Williams received offers from at least four clubs — including the Jets — before landing with the 49ers. It’s official. The 49ers have signed free agent cornerback K’Waun Williams to a one-year deal, according to a team announcement. In addition to the 49ers, the Jets, Dolphins, Vikings, and Lions all expressed interest in Williams, while the Jets are known to have offered the 25-year-old a free agent pact. The Niners have landed Williams, however, and will add him to a cavalcade of cornerbacks that already includes Tramaine Brock, Jimmie Ward, Keith Reaser, Rashard Robinson, and others. Williams, who entered the league as an undrafted free agent out of Pitt in 2014, appeared in 26 games (10 starts) with Cleveland from 2014-15. Playing mostly in the slot, Williams didn’t manage any interceptions, but did post 10 passes defensed, three forced fumbles, and two sacks during his time with the Browns. Cleveland waived Williams in the midst of a spat regarding an ankle injury, and though he was subsequently claimed by the Bears, Williams failed his physical in Chicago and hit the free agent market once again. Williams never played in 2016, and still has an outstanding grievance against the Browns. The pact was first reported by Ian Rapoport of NFL.com (Twitter link). Matt Maiocco of CSNBayArea.com first reported that San Francisco had offered Williams a contract. Three executives tell Mike Freeman of Bleacher Report that they believe several teams will be making blockbuster offers for Patriots quarterback Jimmy Garoppolo. Ultimately, they think that will result in an offer the Pats cannot refuse. Freeman also hears from Patriots sources that Bill Belichick likely plans to stay on as coach for at least five more years. Those same sources believe that Belichick wants to continue coaching after Brady retires to show that he can win without the best quarterback of all time. Arrelious Benn‘s new contract with the Jaguars is a two-year, $1.765MM deal that contains $100K guaranteed, tweets Adam Caplan of ESPN.com. Although he didn’t contribute much to the Jacksonville offense (just five receptions for 116 yards), Benn was a regular on special teams duty, as he saw action on 63% of the Jaguars’ ST plays. 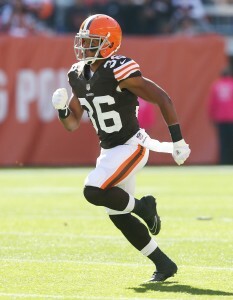 Cornerback K’Waun Williams‘ grievance against the Browns will be heard on May 16, reports Mary Kay Cabot of Cleveland.com. Williams, who played for Cleveland from 2014-15, contends the Browns waived him while he was still dealing with an injured ankle. As such, Williams is seeking the entirety of his 2016 base salary ($600K), plus the cost of his surgery. Tennessee running back Alvin Kamara has fired VaynerSports and hired Damarius Bilbo of Revolution Sports Group as his new representation , according to Liz Mullen of SportsBusiness Journal (Twitter links). Kamara, a committee back with the Volunteers, managed less than 1,300 yards rushing during two years in Tennessee, but also averaged more than six yards per carry during that time. Largely viewed as a Day 2 prospect, recent buzz has indicated Kamara could sneak into Round 1. The Giants are trying to bring back every key member of their excellent defense, and while that would include retaining Johnathan Hankins, re-signing the 325-pound defensive tackle is easier said than done, as Jordan Raanan of ESPN.com writes. Hankins managed three sacks and 10 quarterback hits from the defensive interior, and given that he’s still only 24 years old, Hankins figures to break the bank in free agency. After speaking to a panel that includes executives and agents, Raanan pegs Hankins’ value at five years, $43MM, with $18MM in guarantees. The Vikings made a “strong push” for free agent cornerback K’Waun Williams, according to Ben Goessling of ESPN.com, but ultimately lost out to the 49ers. Williams, 25, didn’t play in 2016 while dealing with an ankle injury, but would have given Minnesota another slot option given that Captain Munnerlyn is a free agent. Per Goessling, Williams’ relationship with San Francisco head coach Kyle Shanahan and defensive backs coach Jeff Hafley heavily factored into his decision to head to the Bay Area. Pending free agent quarterback Mike Glennon has left his representation at Vanguard Sports and Athletes First, but he’s expected to re-sign with Athletes First agent David Dunn, tweets Liz Mullen of SportsBusiness Journal. Glennon, 27, hasn’t played regularly for the Buccaneers since his rookie season in 2013, but if Kirk Cousins sees the franchise tag as expected, Glennon will be the top quarterback on the market. Offensive lineman Eric Kush‘s new two-year deal with the Bears is worth $2.5MM and contains $500K in full guarantees, per Adam Caplan of ESPN.com (Twitter link). Kush, 27, started four games and played 279 offensive snaps on an injury-filled Chicago front five last year, but he’s projected to serve as depth in 2017. The 49ers announced that they’ve hired Stan Kwan (assistant special teams), Vince Oghobaase (asssistant defensive line), and Adam Stenavich (assistant offensive line). While Oghobaase is a holdover from the Chip Kelly regime, Kwan and Stenavich are new additions. Kwan was relieved of his duties as a Saints assistant earlier this year after spending four years in New Orleans. The Jets have offered a contract to free agent cornerback K’Waun Williams, a league source tells Darryl Slater of NJ.com. The same source says that Williams also has contract offers from three other teams. Williams is expected to choose one of the offers later this week. In addition to the Jets, Williams has also drawn interest from the Lions, 49ers, Vikings, and Dolphins. At this time, it’s not clear which of those teams have put contracts on the table. Williams, 26 this summer, could be drawn to the Jets because he grew up in Paterson, New Jersey and played at Montvale’s Saint Joseph Regional High. Ultimately, however, he’ll probably base his decision on playing time and lean towards any team willing to give him a partial guarantee on his deal. Last summer, the slot corner was embroiled in a high-profile spat with the Browns organization. The Browns suspended Williams for “conduct detrimental to the team” when he independently decided that he could not play in the team’s first preseason game because of his ankle condition. Later, Williams had to have an operation to remove painful bone spurs and he is now pushing for the team to reimburse him for his 2016 $600K salary. Free agent cornerback K’Waun Williams will take his visit with the Vikings next Tuesday, tweets Darren Wolfson of 1500 ESPN. Williams, 25, had meetings with the Lions and Jets earlier this week, and is expected to convene with the Dolphins and 49ers at some point, as well. After starting 10 total games during his first two years in the NFL, Williams was sidelined for all of 2016 thanks to an ankle injury. The Vikings have are expected to hire former Purdue and Kent State head coach Darrell Hazell as their new wide receivers coach, according to Alex Marvez of the Sporting News (Twitter link). Hazell, who was fired only six games into the Boilermakers’ 2016 campaign, has a career NCAA record of 25-43. Internal offensive assistant Drew Petzing was also thought to be a candidate for the position, but instead it’s Hazell who will replace George Stewart, who left for Los Angeles. While they’ll face decisions on unrestricted free agents Matt Kalil, Captain Munnerlyn, and Cordarrelle Patterson, the Vikings are also expected to begin negotiating a contract extension with cornerback Xavier Rhodes, according to Matt Vensel of the Minneapolis Star Tribune. Thanks to his fifth-year option, Rhodes is signed through the 2017 season, during which he’ll earn $8.026MM. A long-term deal could nearly double his salary, as Josh Norman currently leads all cornerbacks with a $15MM annual figure. The Saints are likely to select an offensive tackle early in the draft, perhaps as early as Round 1, writes Mike Triplett of ESPN.com. Although Drew Brees‘ blindside is locked down by Terron Armstead, right tackle Zach Strief is now 33 years old and entering the twilight of his career. Strief is due a $1.5MM roster bonus later this spring, and New Orleans is expected to pay that figure if Strief definitely decides to continue his career, per Triplett. As such, the Saints likely won’t target a tackle in the free agent market, and the draft looks like a better avenue to find a new lineman. The 49ers are hiring Daniel Bullocks as their assistant secondary coach, per Marvez (Twitter link). Bullocks worked in the same role for Jacksonville last season, and previously coached in the collegiate ranks. K’Waun Williams has quite the free agent tour set up for himself. In addition to visits with the Lions and Jets, Williams is also slated to visit the Dolphins, 49ers, and Vikings this week, according to ESPN.com’s Michael Rothstein (on Twitter). Of course, those visits could also be 86’d if Williams immediately strikes a deal with either Detroit or New York. Williams arrived in Detroit on Monday and will touch down in the New York/New Jersey area on Tuesday night. If he doesn’t have a contract after wrapping up his visit with the Jets on Wednesday, he’ll continue meeting with clubs. As a rare February free agent, Williams has a bit of added value for teams who are looking into a low-cost solution at slot cornerback. Williams’ next deal is likely to come as a one-year pact, so he is presumably looking for a situation where he can maximize his playing time and increase his value for next offseason. He probably won’t get a fully guaranteed roster spot, but he could conceivably get a small partial guarantee on his salary if enough clubs show interest. Williams had surgery to remove bone spurs in his ankle back in November. He recently received full clearance from Dr. Robert Anderson. Former Browns cornerback K’Waun Williams is already making the free agent rounds. As a rare February free agent, he has visits scheduled with the Lions on Monday followed by a meeting with the Jets, a source tells Ian Rapoport of NFL.com (on Twitter). Williams is also on the Saints’ radar, tweets The Advocate’s Joel A. Erickson, though he notes that other teams seem to have more interest in the defender. Williams, who had ankle surgery in November, was recently given full clearance by Dr. Robert Anderson. In theory, the young cornerback could sign with a team right away and give a club a quality option to consider in the slot. Last summer, Williams was embroiled in a high-profile spat with the Browns organization. The Browns suspended Williams for “conduct detrimental to the team” when he said that he independently decided that he could not play in the team’s first preseason game because of the ankle condition. Ultimately, Williams had to have an operation to remove painful bone spurs and he is now pushing for the team to reimburse him for his 2016 $600K salary. In between all of this, Williams had an agreement with the Bears that was scuttled by a failed physical. K’Waun Williams‘ visit to the Jets will take place on Wednesday, Ralph Vacchiano of SNY tweets. The former Cleveland corner will arrive in town on Tuesday night, following his visit to Detroit. The Jets’ anticipated roster purge could start with Ryan Clady, Rich Cimini of ESPN.com writes. Clady, who finished the year on IR with rotator cuff surgery, is due a $1MM roster bonus by Wednesday. With a total cap charge of $10.5MM, it seems likely that he’ll be cut loose. However, it’s also possible that the Jets could renegotiate his deal. Clady didn’t set the world on fire last year, but there aren’t a ton of quality options out there in the draft or on the open market. Cimini estimates that a $6MM salary – in line with what he made last year – could work for both sides. The Jets will still need a backup plan for Clady given his injury history, so Cimini also suggests a new deal for Ben Ijalana. After Dont’a Hightower, Malcolm Butler, and Martellus Bennett, Alan Branch ranks as the Patriots‘ highest priority free agent, ESPN.com’s Mike Reiss writes. Branch, 32, was the team’s most consistent defensive tackle by Bill Belichick’s measure in 2016. Reiss estimates that a two-year, $11MM deal (similar to what Vince Wilfork signed in Houston two years ago) could get the job done. Others listed include cornerback Logan Ryan and wide receiver Michael Floyd.